What a setting, right beneath Ditchling Beacon one of the most well known spots on the South Downs. Beacon Cottage is in the grounds of the owners' home and is superbly presented and very comfortable. The lounge is very spacious and welcoming. The kitchen is very well equipped and the downstairs shower room is modern and chic. 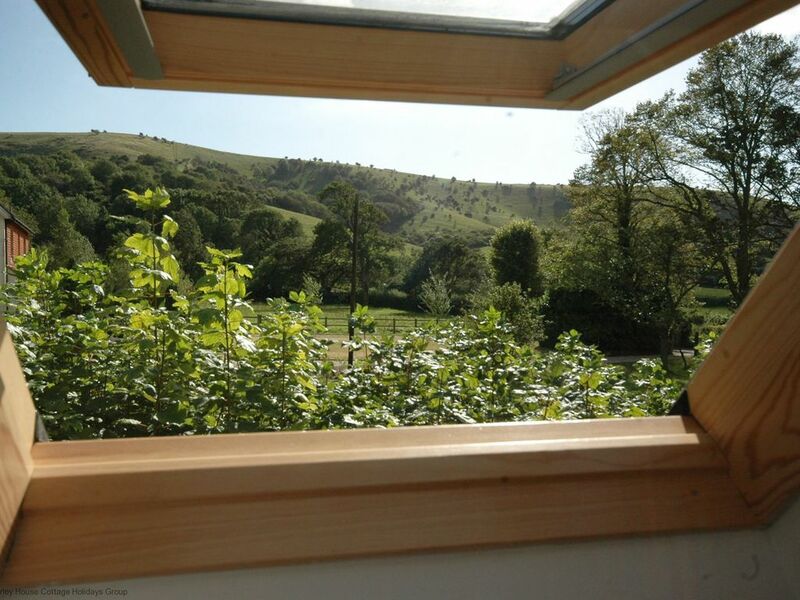 The bedroom upstairs has a king sized bed and through the roof velux there is a wonderful view towards the Beacon. The garden here is very nicely kept and although the owners' guests are welcome to enjoy it. Ditchling is a picturesque and traditional village at the foot of the South Downs. It is a very beautiful location within the National Park and is just five miles north of Brighton making the south coast city very accessible. Five miles west of Lewes as well and Glyndebourne this is a great area to be based. Eileen and Chris have set the standard for everyone else to try and achieve. What an AWESOME vacation rental! Thank you very much for your lovely comment! We are delighted that you enjoyed your stay and hopefully you will choose to stay with us again in the future. The property is very tastefully set up in a beautiful location, with great care for detail. We were received very attentively by the owners who live next door on the same property. The facility is beautifully set up with great care for detail. The setting is in the countryside with plenty of walks very close by. Ditchling Beacon and the village are within walking distance. The only problem we had was a slow internet connection. Overall we had a wonderful stay and hope to come back again. An excellent cottage, Eileen and Chris are wonderful hosts, they made us feel very welcome. The cottage is home from home, extremely clean and comfortable. An excellent base to explore the South Downs Way and surrounding areas. Would definitely recommend a stay here.